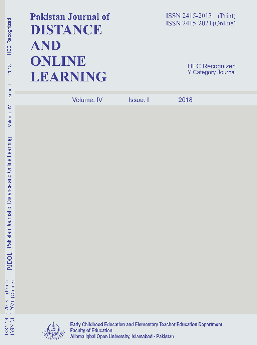 This article is a literary review regarding emerging trends of distance education in the world with a particular focus on Pakistan. Many countries of the developed world have already started distance and online education. 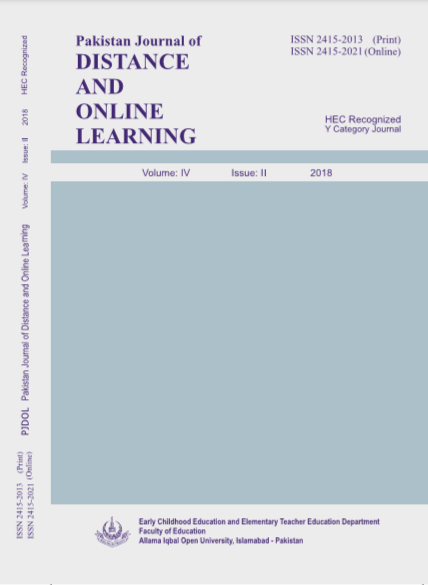 This micro level meta-analysis of distance education has found that for higher education, students somehow like the use of internet technology for getting in touch with peers and teachers. Role of Allama Iqbal Open University and Virtual University of Pakistan has been discussed in particular which are using complete mode of distance education. Virtual University of Pakistan has fully adopted the Information and Communication Technology (ICT) and Online Distance Education (ODL) through the use of state of the art software like Learning Management System (LMS). Few other universities have also started private and distance education. Higher Education Commission of Pakistan (HEC) has an active collaboration with The International Council for Open and Distance Education (ICDE) for promoting new trends in distance education. Quality assurance and development of Massive Open Online Courses (MOOCs) can uplift their standards. All this has facilitated the adult learning, job holders, people of remote areas etc. with relatively lesser cost of education. Possibilities for future have been discussed as well.